2 Bedroom Flat For Sale in Penzance for Guide Price £279,500. 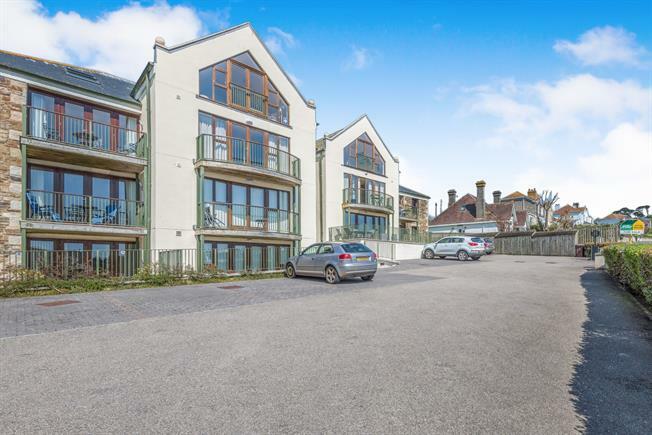 NO ONWARD CHAIN An outstanding 'lock up and leave' ground floor contemporary apartment with private patio/garden close to the beach with sea views. Spacious kitchen/dining/sitting room, utility room, two bedrooms (one en-suite), family bathroom, parking. A short distance from the beach, Clipper Cove is ideally placed for those seeking a coastal bolt hole or main residence. Externally there is a single allocated parking space with further communal visitor spaces and low maintenance surrounding grounds. The apartment have video door entry system, the basement area hosts a large communal drying area and a secure storage cage, ideal for beach goods, etc. Range of shaker style base and wall units with integrated fridge, oak laminate flooring, freezer, dishwasher and electric oven with halogen hob. Large double glazed window and doors leading out onto private paved patio area. Oak laminate flooring. Base units, plumbing for washing machine and space for tumble dryer. Oak laminate flooring. Double glazed window to rear aspect. Door to en suite shower room. Oak laminate flooring. Double glazed window to rear aspect. Oak laminate flooring. Bath with electric shower over, W.C, wash hand basin and heated towel rail. Tiled flooring. Private enclosed patio area to the front of the property, single allocated parking space with further communal visitor spaces and low maintenance surrounding grounds. The apartments have video door entry system whilst in the basement area there is a large communal drying area and a secure storage cage, ideal for beach goods, etc. Ground source heat pumps providing hot water and under floor heating. 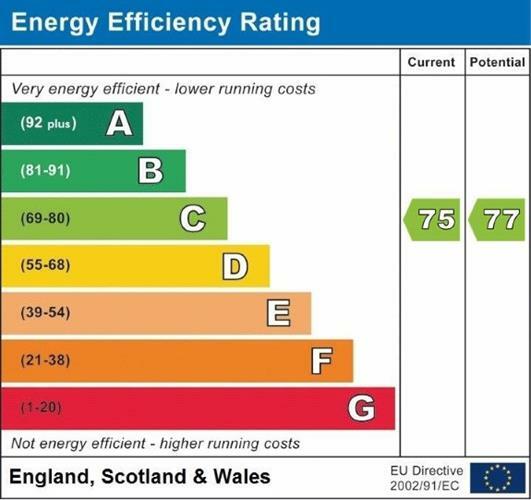 Mains water, electricity and drainage.